Whenever we speak with clients and go through possible services with them, they often have questions regarding why we offer services such as “Layout Design” or “Executing the Design in HTML and Implementing within the Wiki”. In this article, we will offer you a couple of arguments and explanations to answer why it is worth having your wiki professionally designed. Professional, high-quality design strengthens the users’ acceptance of the systems and promotes “Joy of Use”. The effect of these measures and their sustainability cannot be judged highly enough. 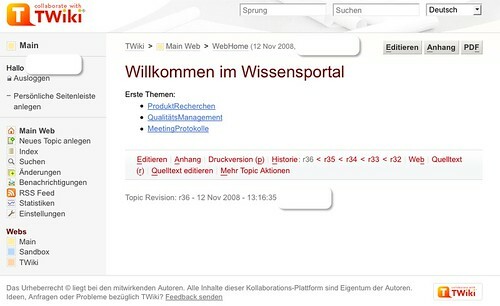 In addition: In 2008, we ran user tests regarding an intranet application for the German Post (Deutsche Post). The customized version of the layout conforming to the CI received by far the most positive comments. An uncustomized layout sends the wrong signal to the employees who are expected to work with this system. This could give the impression that the wiki is neither highly valued nor considered to be important. The rolling-out of the system is an extremely important phase and could easily and unintentionally be damaged by not having a customized layout. 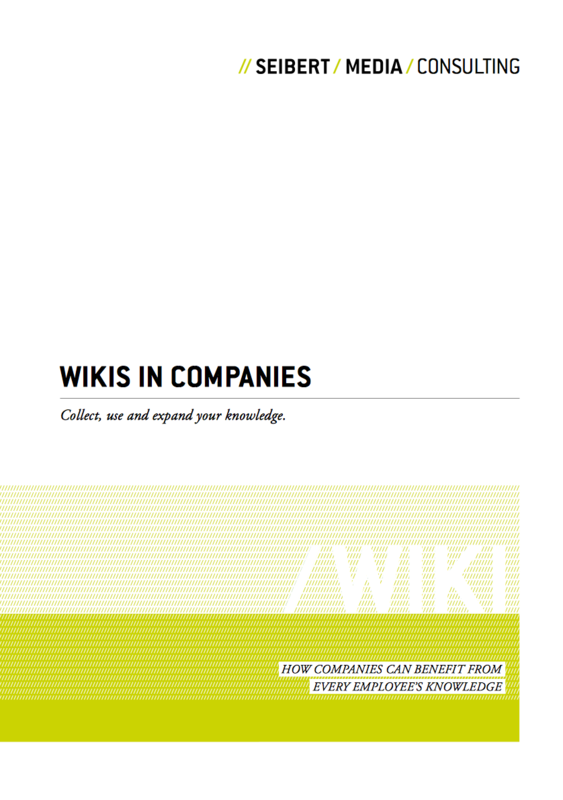 Finally, if you don’t clearly communicate that the wiki is important, your employees will also see it as unimportant. However, a wiki can only thrive on participation. 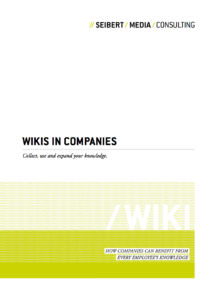 Within the framework of the design customization there is also usually a customization of the print versions of the wiki documents. Within this context, it is also normal to prepare a PDF generation of contents that makes possible the direct exporting and sending of documents. Now briefly consider that without this work, much work from the wiki will have to be copied into MS Word templates. Why? Just so the layout matches? This is nothing but a waste of time. In its standard design, TWiki just doesn’t match the corporate design of your company. This results in the biggest problem: TWiki will be seen as a foreign object, an external software system, and not as a unique corporate wiki. This is due to the simple psychological phenomenon of people treating the strange and the new with skepticism and maintaining their distance; they have far fewer reservations when dealing with the familiar. This list could be continued and should not be seen as complete. It does, however, give an excellent first look at how risky it would be to go “live” with the standard design of TWiki. In the past, we have had many bad experiences with this and therefore no longer offer it as a matter of course. Thus, customizing the design should in any case occur before the piloting phase; an uncustomized system is – at best – only interesting for becoming acquainted with the software, and this should only be executed with a few participants. Siehe auch den deutschsprachigen Artikel zum Thema.